Alpinestars Karting Gloves - Tech 1-KX UNIVERSAL - Brakeswap.com - Friction for the Win! The Tech 1-KX is a premium karting glove combining innovative technologies and materials to offer superior levels of sensitivity, comfort and performance within a highly durable chassis constructed to withstand the wear and tear encountered while kart racing. Two-layer stretch poly-cotton construction provides the optimum combination of weight, feel and comfort. Newly designed textured synthetic leather patches and silicone printing are strategically positioned to provide maximum feel, grip and vibration dissipation. Synthetic leather fourchettes help prevent material on the fingers twisting while driving. Pre-curved finger and innovative palm design aids fit while reducing material bunching. 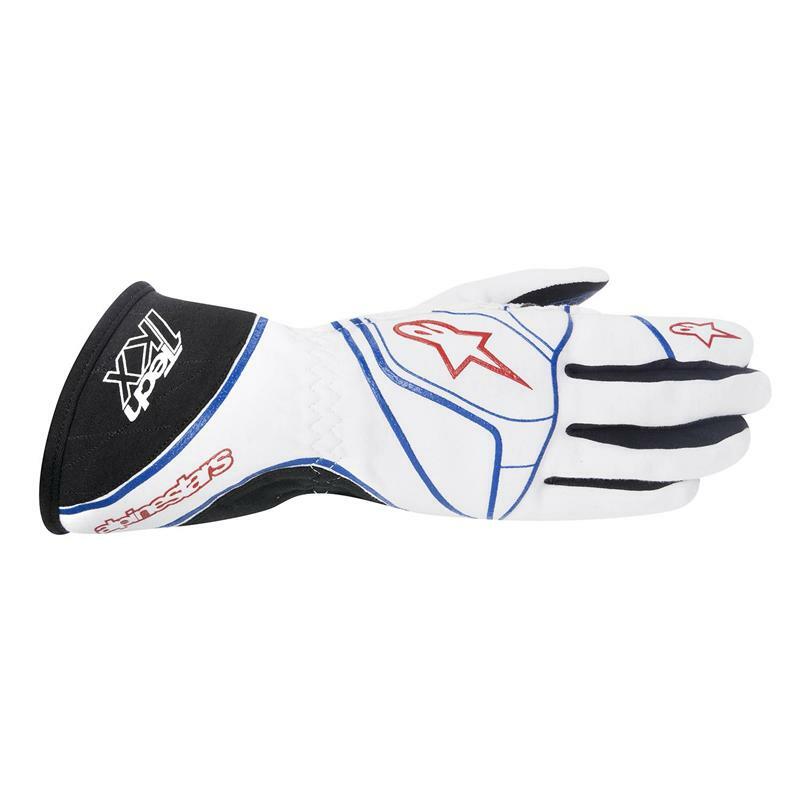 Alpinestars exclusively designed cuff opening design for easy entry and secure fitment.